Boca insurance company Seeman Holtz Property and Casualty has made a new acquisition in Missouri. Boca insurance company Seeman Holtz Property and Casualty continues to grow through acquisitions. The company has announced the acquisition of Redel Insurance Agency in Ballwin, Missouri. 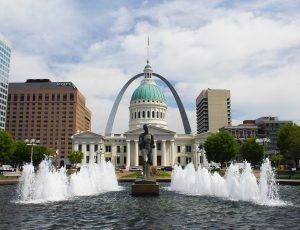 Redel has been serving Missouri clients for three quarters of a century by offering personal and commercial insurance, from auto and life insurance to employee and worker’s compensation, with affordable premiums to work with any budget. The Redel team has more than 140 years of collective experience and is one of Missouri’s most venerable insurance agencies due to its dedication to customer service and finding a plan to fit every client’s need. “We are proud to be working with Steve Redel and his team. To bring a seventy-five-year-old agency, with tremendous client relationships, into our family is a great feeling,” said Marshal Seeman, President of Seeman Holtz Property and Casualty. The acquisition of Redel will strengthen Seeman Holtz Property and Casualty’s position in the Midwest as the Boca insurance company continues to target high-quality firms for its nationwide expansion. “Steve Redel and his crew will be working with Steve Phillips and our First Choice team out of Poplar Bluff.to enhance our midwestern client base,” Brett Williams, Vice President of the Boca Insurance Company, said. Seeman Holtz Property and Casualty has been undergoing major expansion by targeting high growth firms around the country. The company has made several acquisitions in addition to Allstar Assurance in the past few months. Recent acquisitions include: Spencer Insurance Agency; Ritman & Associates; Merchants Preferred Insurance Services, Inc. of Erie, Pennsylvania; Xponent Employer Solutions of Scottsdale, Arizona; Fifth Avenue Healthcare Services of Tulsa; Missouri-based Tri-Star of Sikeston, Inc. DBA Self Insurance; the Federal Employee Insurance business of Federal Employee Services, LLC, of Edmond, Oklahoma; and Elton Porter Insurance Agency of Houston; the book of business from Affiliated Insurance Managers, Inc., headquartered in Morgan City, Louisiana; and JEM Insurance Services, Inc. in Boca Raton, Fla.